Once I decided that I am just going to have to just get over being afraid to write, and just be myself, and started posting more on a regular basis, I have seen an increase in visitors to my website. Here are a few quick tips for small business bloggers that I found to help me get more from my blog. 1. Pick a name and description for your blog that reflects the content that you will be sharing. 2. Set up your profile with a photo introducing yourself and sharing a little about your background and what your business is about. 4. Blog post don’t have to be long. Something short like a photo with a quick tip, or a new design you’re working on with a photo. Both can add value to your blog. 6. Be consistent to build your blog following, post regularly (2-3 times a week would be ideal). Experts say that by posting something of value, and on a regular basis you will build a loyal following that will keep coming back to see what you have to offer. I’m still working on writing, and posting regularly, but I have noticed an increase amount of new traffic, and returning traffic when I do post on a more regular basis. Thanks for stopping by and reading my post, I hope that these tips will help those of you that are new at blogging or intimidated over the writing part (like me). 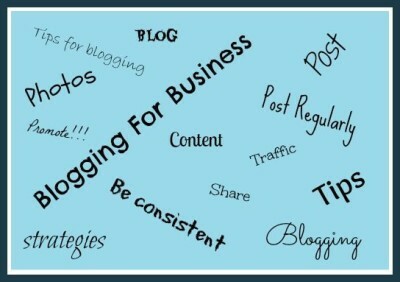 If you found these Tips for Small Business Bloggers helpful, Please Share! Thanks! You may find this post interesting as well. “15 Quick Pinterest Tips For Driving Traffic To Your Blog“. Glad you found the camera+ app as useful as I do! Good pictures are indeed important. Thanks Pearl! Love the app, it has helped. Taking great pictures have always been a struggle.